High-end home prices have continued a gradual rebound all across New York, Syracuse included. 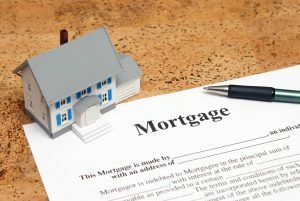 As a result, lenders and banks are starting to expand their low down payment Jumbo mortgage qualifying criteria and permitting higher loan to values. In fact, approved home buyers can now secure up to 95% Jumbo financing for loan amounts of $2,000,000 across NY. Let’s discuss exactly what is considered a jumbo and some of LTV criteria. A Jumbo loan is a mortgage that exceeds the conforming loan limits of $484,350. Some high-cost locations in FL, CA, CO, etc can exceed this limit, but most the nation this limit is at $484,350. Qualified Syracuse home buyers can now secure Jumbo loans with only 5% down payment. Also, current homeowners that have a Jumbo loan can refinance up to 95% loan to value with no mortgage insurance. Below we have listed the most recent 2018 jumbo loan guidelines: This applies to both Jumbo purchase and rate-term Jumbo refinance transaction. 95% Loan to value: Up to $2,000,000: min 700+ credit score. Buyers can choose from a single loan up to $1,000,000 or a 1st and 2nd mortgage (80/15/5) combo up to 2.0 million. Most Jumbo options require NO monthly mortgage insurance (PMI) depending on the property states. Note: mortgage guidelines can and do change frequently, please be sure to visit the Jumbo Purchase page for the latest requirements. NO origination fee on Jumbo fixed-rate or adjustable-rate mortgage home loans for purchase transactions. No origination fee significantly reduces closing costs for buyers. Income: buyers must prove and document income with W2 and pay stubs. Self-employed 1099 buyers will need to provide two years of federal tax returns. U.S. citizens only. U.S properties only. Bank Saving and assets: Like income, savings must be properly documented with three months of savings, retirement accounts, statements. Most jumbo loans programs will also require “payment reserves” This is the amount of savings left over once the down payment and closing are made. Your credit history: Credit scores of 700 or above to be approved for any 5% down jumbo loan. Lower credit scores down to 660 can be approved with higher down payments. Primary Residence and second home only for 95% options. Investment homes are eligible but will require a minimum of 20% down. Single-family homes, townhomes and condos eligible. Serving all of New York including Onondaga County. Please contact us at the number above, or just submit the Quick Call form on this page to speak to a specialist 7 days a week.